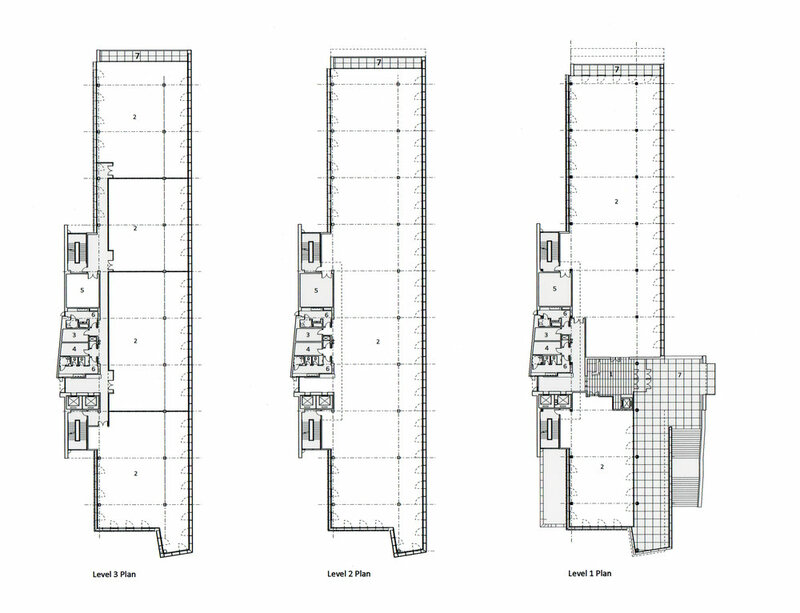 The long and narrow site along Wilmington’s Christina River warrants utilizing a 60-foot wide office floor plate, with the core biased to the outer west edge of the floor plate. This development project for Buccini/Pollin Group is a 60,000 SF three-level office building with two levels of underground parking. The long and narrow site along Wilmington’s Christina River warrants utilizing a 60-foot wide office floor plate, with the core biased to the outer west edge of the floor plate. 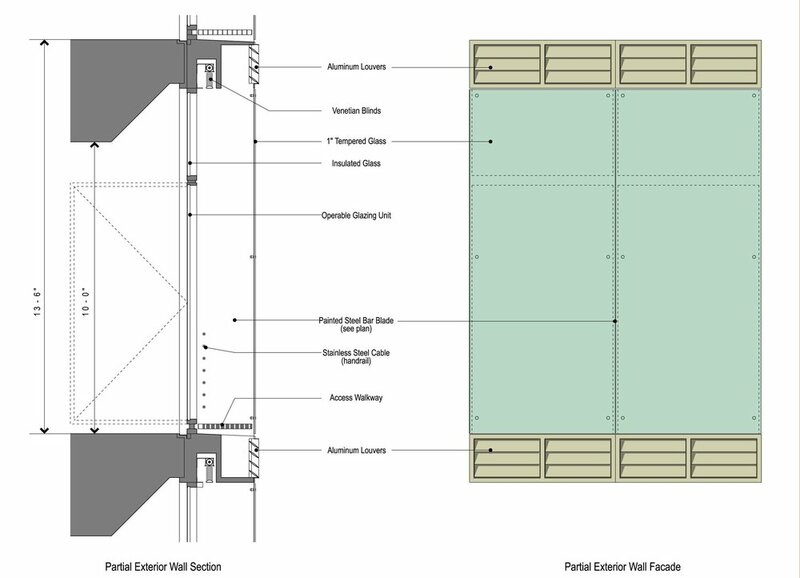 The core includes elevators, lavatories, stairs, and engineering space and is positioned on the west side to shield the building interior from the western solar exposure and from vehicular noise from the Walnut Street Bridge. The building exterior uses two façade system approaches. The eastern and part of the southern façade uses a double skin glazing assembly to provide protection from the exterior solar elements. The cavity is a naturally ventilated system that allows for operable 8-foot high door-type sashes to permit fresh air to enter the building. 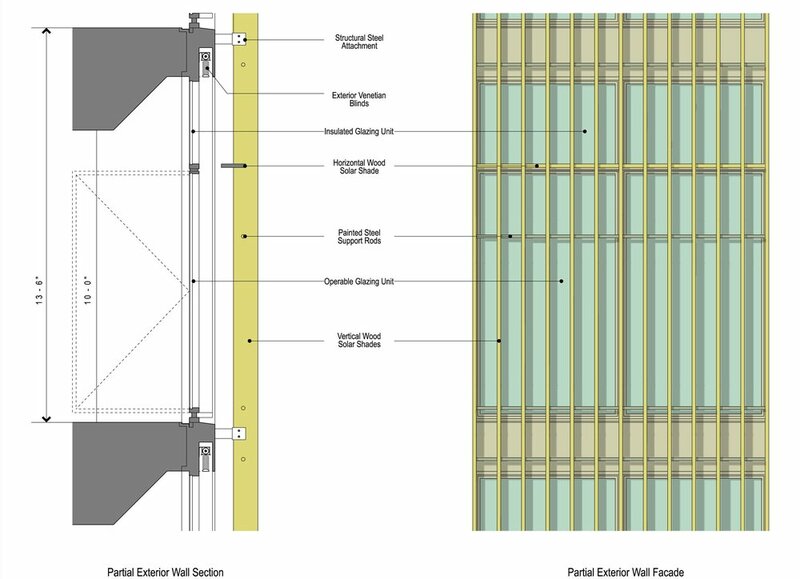 A vertical wood slat assembly is used on the western and the remaining portion of the southern façade, with the slats acting as solar fins to block the sun from directly entering the building interior. The design includes alarms which will indicate when it is not permissible to open the sashes when the HVAC systems are running. A lightweight green roofing assembly will be used on the roof to protect the roofing membrane, with the added benefit of reducing the amount of storm water runoff entering the municipal system. 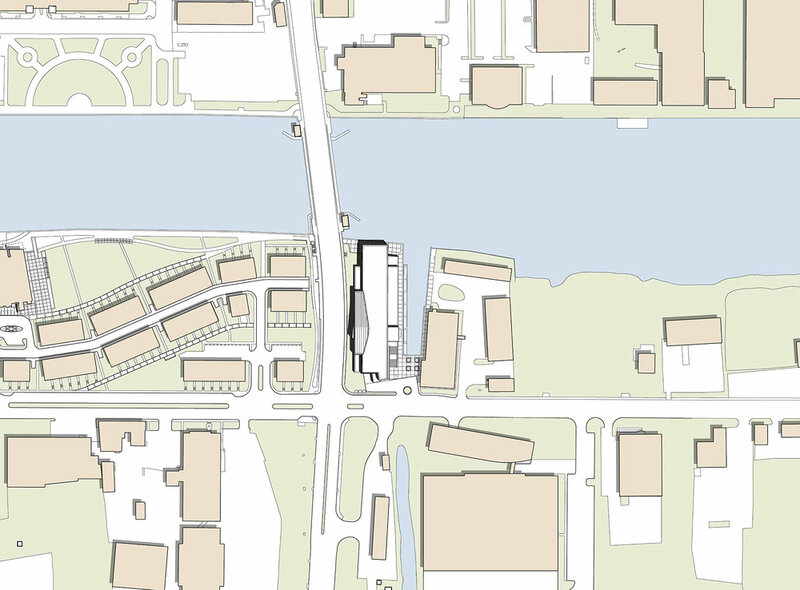 The building design attempts to leverage the aesthetic opportunities inherent in the river location. Ten-foot ceilings with floor-to-ceiling glass and external balconies on the north end of each floor plate maximize external views and infuse natural light into the work environment.